Wondering what to do with the leaves falling from the trees in your yard? 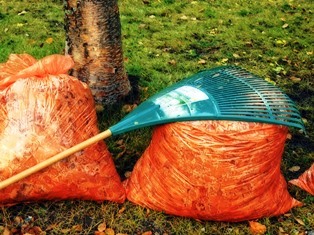 The City of Belton offers a couple of options for those who don't want to or have too many leaves to mulch. As part of normal trash service , each week three additional items are accepted, up to 50 pounds each, provided the items are bagged, boxed, or bundled, and placed next to the trash can. In addition, a bulk collection day is scheduled at the Public Works Yard, 1502 Holland Rd. , from 8 a.m. to 3 p.m. on Oct. 22. Residents may bring furniture, mattresses, bags of leaves, or any other bulky items not included in weekly trash service.